Ph.D. candidate in Educational Studies at the University of British Columnbia. Karen Llewellyn's current research interests include women's history, oral history, and historical concepts of educational democracy. Llewellyn, Kristina. 2006. “Gendered Democracy: Women Teachers in Post-War Toronto”. 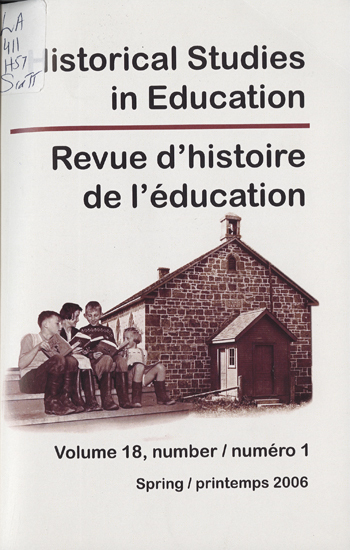 Historical Studies in Education / Revue D’histoire De L’éducation 18 (1), 1-25. https://historicalstudiesineducation.ca/index.php/edu_hse-rhe/article/view/400. The focus of post-war Toronto public secondary schools was the creation of a microcosm of liberal democracy, promising freedom and effective citizenship for the nation. The article explores how gender hierarchy was an implicit part of early post-war liberal “democracy” in schools. By examining women teachers’ oral histories, the article discusses the discrepancy between their responsibilities as partners in the “democratic” school and their authority with specific reference to curriculum and inspection reforms of the period. The barriers of post-war educational “democracy” for Toronto women secondary teachers show clearly in the informal and localized ways they adapted this model for their everyday practice.